This week has started with a seemingly surprising piece of news. 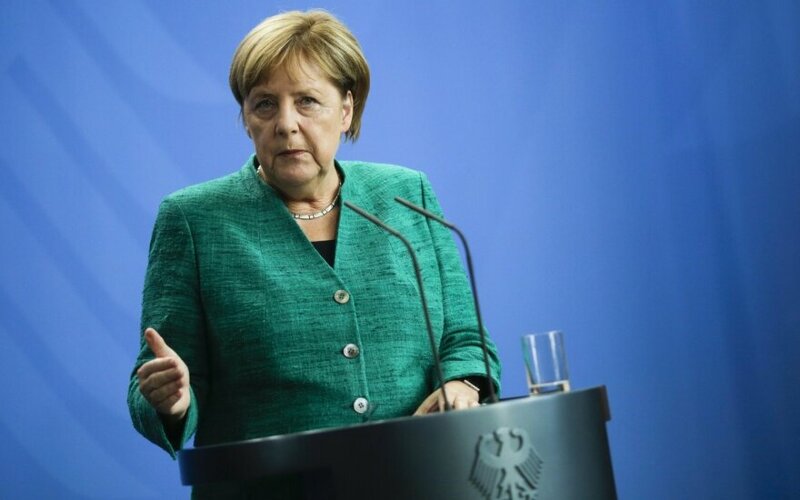 Following a fairly unsuccessful election in the federal state of Hessen for her Christian Democratic Union of Germany (CDU), German Chancellor Angela Merkel announced that she would no longer seek re-election as leader of her party in the upcoming election in December. 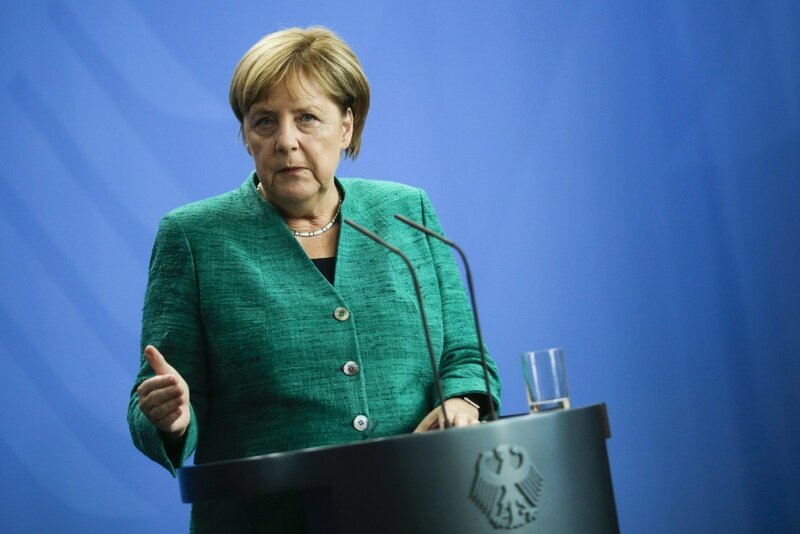 She also informed that this was her fourth and final term in office as German Chancellor and that she would be stepping down from national politics after the end of her term in 2021. This marks the end of a historical era. It is worth recalling that Merkel was elected as chairwoman of her party in 2000 and became German Chancellor in 2005. An entire generation of new politicians who had not seen a Germany without Merkel's leadership grew up in both Germany and Lithuania as well as in the whole of Europe. It is obvious that in the history of both Germany and Europe Angela Merkel and her 16-year-long tenure as German Chancellor will forever be compared to Konrad Adenauer and Helmut Kohl, the two long-term German leaders. Both of the previous leaders shared not only long-term leadership as Chancellors of Germany, a characteristic feature of Merkel's rule too, but also an impressive geopolitical legacy. Covering Konrad Adenauer's legacy of historical scope is a daunting task for fear of missing something. He was the person who restored West Germany after the war, integrated it into NATO and the European Communities while also being one of the spiritual leaders of these organisations, and turned West Germany into a strong US ally, thereby ruining the Kremlin's plans to the contrary. Meanwhile, Helmut Kohl was the German leader who is still well remembered by the generation of the founders of the Lithuanian reform movement Sąjūdis. He was the leader of West Germany when, among others, the Berlin Wall fell, when the Soviets lost the Cold War, when Germany was unified, and when Lithuania re-established its independence. This is the background against which not only Merkel's legacy but also the future outlook for Germany or the European Union after Merkel is worthwhile referring to. While staying in the post as German Chancellor until 2021, Merkel has a chance to secure several new highlights in her legacy to be appreciated and remembered by Europe for many years to come. Ever since 2005, Merkel's leadership in Germany and the European Union has been mainly invoked in terms of her success to contain the major crises of these times, namely, the great global financial crisis of 2008–2012 and, specifically, Greece's economic collapse, the European and German refugee crisis of 2015–2016 and, finally, the Russian aggression against Ukraine that started in 2014. Even though each of the crises required cross-cutting responses, while management of each of them, particularly the refugee crisis, earned Merkel some criticism for allegedly lacking the decisiveness and wisdom in her actions, today it can already be concluded that Angela Merkel has played a role of a genuine leader in containing effectively, albeit silently, each of the crises. However, containment of any crisis is not the best way to secure a place in history (and I can tell this from my own experience). Angela Merkel has every opportunity to go down in the history of Europe as a person with not only an excellent track record of crisis management but also an outstanding legacy of geopolitical achievements that can be paralleled with those of Adenauer and Kohl. This is also related to her remaining years in office until 2021 and the geopolitical initiatives she can still implement by that time. Like us, Angela Merkel is well aware that the European continent is facing a long-term geopolitical "Russian crisis" or (if we were to call a spade a spade) the "Kremlin's crisis", which has started since the election of Vladimir Putin as President of the Russian Federation in 2000. This crisis has reached a particularly dangerous phase in 2014–2015, when Putin launched his aggression against Ukraine. Merkel knows herself the magnitude of personal effort it has required to achieve the agreements in Minsk and cease Kremlin's open military aggression against Ukraine. Since that moment, Merkel has managed to keep the European Union united on the issue of sanctions against Russia. This, however, is not enough. I have repeatedly argued that the West should not only defend against Putin's aggression by putting new sanctions in place and developing new NATO capabilities in our region but also invest far more substantially into the success of Ukraine, thereby building a belt of successful countries along the Russian border, if they want to help Russia transform some day (after Putin) into a less abnormal state. This is a prospect that is most feared by Putin, for it would severely undermine the legitimacy of his regime in the eyes of the ordinary citizens of Russia. Hence, Putin does everything to ensure that Ukraine does not become a successful country and the West do not invest in Ukraine's success, including western investment in the form of political resources and political leadership, which would make way for Ukraine's full integration into Western structures, i.e. the EU and NATO. Putin retains all his chances of claiming political victory in Ukraine while the West lack the determination to grant Ukraine the perspective of integration into these structures. Without it, it would be difficult to expect that Ukrainian politicians and society would stay motivated for a long while and would continue the necessary and painful European reforms. Putin's strategy in Ukraine is simple. He is waiting until Ukraine runs out of motivation to continue on the path of reforms, because this will enable him to keep Ukraine in the so-called grey area of unreformed countries as the West would be turning away from an unreformed Ukraine. In the meantime, the Western strategy towards Ukraine is lacking, at the very least, a strategic point of view. Ukraine receives sufficient verbal support for its reforms. Financial support for the reforms is also substantial. It is the prospect of Euro-Atlantic membership, however, that still remains undefined, which represents the weakest link to both the Western strategy towards Ukraine and Ukraine's efforts to stay motivated and build a long-term success story. I have repeatedly explained that we are trying to fill the gap in the Western strategy with our own international initiatives of Lithuanian origin. At first, we had a Marshal Plan for Ukraine (also referred to as A new European plan for Ukraine), and now we are moving forward with a new Ukraine 2027 initiative. Our first initiative has been aimed at keeping Ukrainians motivated for transformation by offering them a major package of Western investment funds contingent on continuation of reforms. The second initiative of ours is dedicated to mobilising our efforts and the efforts of Ukrainians and our partners in the West (primarily Poland) and making certain that the European Union makes the fundamental decisions regarding Ukraine's future membership of the EU and grants Ukraine the status of candidate country during the Polish and Lithuanian Presidencies of the Council of the European Union in 2025 and 2027 respectively. This would create a long-term motivational instrument for Ukrainians, the power of which in bringing success is all too familiar for us. We were the ones who had taken the path of European reforms since the early 1990s despite all of the political shifts in Lithuania. This was all thanks to the European Union, which approved the Copenhagen criteria as early as in 1993 and granted us – first unofficially and then later officially – the prospect of membership. It was the driving force for our enthusiasm to pursue reforms. Eventually, in 2004, our efforts were crowned with success. As I have noted earlier, the recent key thoughts expressed by Angela Merkel in Tbilisi this September leave us confident that we can actually achieve the aims of Ukraine 2027, which is our second initiative. Merkel has said that Georgia and Ukraine have the greatest European prospects, but it will take another 10 years for the EU, as well as for Ukraine and Georgia, to properly prepare for the next steps towards European membership. This decade happens to end in 2027–2028. It is highly likely that Angela Merkel will no longer be the German Chancellor in 2025–2027. However, she will be the acting German Chancellor leading the EU during the German Presidency of the Council of the European Union in 2020. It will be the last German Presidency with Merkel at its helm. This will be the moment for Merkel to build her own lasting geopolitical legacy, which would lay the European foundations for a future success of Ukraine while at the same time opening a new phase in the Western strategy towards Russia that would help Europe to finally overcome the prolonged geopolitical "Russian crisis". What could Angela Merkel do during the German Presidency of the Council of the European Union in 2020 to build a geopolitical legacy that would put her in the same company as Adenauer and Kohl? The answer is simple. And the task for her is not that difficult either. She has to launch the preparations for Ukraine's accession to the EU. This could be done by simply replicating everything the EU has done before, for instance, in the process of the EU's enlargement towards the Western Balkans. It is worth recalling that the latter enlargement process has started during the Greek Presidency of the Council of the European Union with the adoption of the so-called Thessaloniki Declaration in 2003, which was 15 years ago. The Declaration simply announced that once the accession process of the ten new Member States, Lithuania included, was completed, the EU would then continue its enlargement towards the Western Balkans. This marked the beginning of this long-term process which the EU intends to finalise in 2025 with the accession of the Western Balkan countries. The EU now has greater difficulty in rendering a decision on Ukraine's future membership than it had in the case of Western Balkans. However, the geopolitical outcome of the decision, as well as its historical legacy, will be far more significant. Today, we have no idea how Germany or the European Union will look like after Merkel. What we do know is that securing this historical decision of the EU in 2020 is an achievable mission for Angela Merkel. I can already imagine the EU adopting a Stralsund Declaration in 2020 (Stralsund is a town which falls into Merkel's constituency and where she loves organising European summits), which would declare the beginning of the official integration of Ukraine, Georgia and Moldova into the EU. A decision of this kind would actually pave the way for the Polish and Lithuanian Presidencies of the Council of the EU, in 2025 and 2027 respectively, to consolidate this legacy of Merkel through real decisions of the EU in building further integration success of Ukraine. This, as I have argued repeatedly, would eventually resolve the geopolitical "Russian crisis" that has distressed the European continent and would establish Merkel as a true architect of a Europe whole, free and at peace. This would stand as a monument to her genuine historical legacy. Before I conclude, let me just address the sceptics who might say that the odds of Merkel building herself a completely different monument by 2021 are far greater and who believe that Nord Stream 2 will represent that monument. Hence, their argument is that instead of being compared to Adenauer or Kohl, Merkel will end up on the same pages of history as Gerhard Schröder, another long-term German Chancellor now working hand in hand with Gazprom. It is obvious that there is strong likelihood for the latter case to be true. It will be up to Angela Merkel herself to decide on which pages of history of at least our region, particularly those of Ukraine, she wants to end up. I do not want to repeat once again the geopolitical dangers that Nord Stream 2 may pose. It makes much more sense to recall the thoughts she has expressed this April. When referring to the Nord Stream 2 project, Merkel has said that they cannot go ahead with the project unless they are reassured that Ukraine would retain its role as a gas transit state. The guarantees of this kind can only be offered by Putin, but no one will take him at his word. This puts us in a position where we have to help Merkel not to fall for any of the Kremlin's guarantees of this kind. Thus, the Nord Stream 2 project should be rendered unachievable in Merkel's terms. The reason why we should be concerned about Merkel's legacy is that the long-term solution to the geopolitical "Russian crisis" means a life in a safer environment, which represents one of our key geopolitical interests. Influencing Russia's transformation is something which we cannot achieve on our own. It would be unwise and could even be harmful to search for ways to engage in dialogue with Putin. Assisting Merkel in building her geopolitical legacy – which features the launch of Ukraine's integration into the EU and does not include the Nord Stream 2 project – represents a far more practical solution. I believe that Merkel can do it. In the meantime, we can only help her by working intensely on our own initiatives, namely, the Marshal Plan for Ukraine and the Ukraine 2027 initiative, whether the work takes place at the Seimas, the Government, the President's Office, the European Parliament or the European Commission or whether it happens in Berlin, Warsaw, Brussels or other Western capitals or in Kyiv and Tbilisi. And there is not much time left because the German Presidency of the Council of the EU begins on 1 July 2020.